This April, guests can step into spring with stylish new accessories and apparel from Disney Parks containing a perfect color for the season – millennial pink! A millennial pink headband will first debut exclusively at World of Disney in Downtown Disney District at the Disneyland Resort this Sunday. Additional locations at Disneyland and Walt Disney World Resorts will carry the sequined headband starting in mid-April. Jeanne was the driving force behind the wildly popular rose gold headband introduced last fall, which inspired apparel, jewelry and even tasty treats created especially for Disney Parks. The new sequin-filled headband gives a nod to the rose gold-dusted original, while setting the stage for additional color-trend headbands arriving later this year. 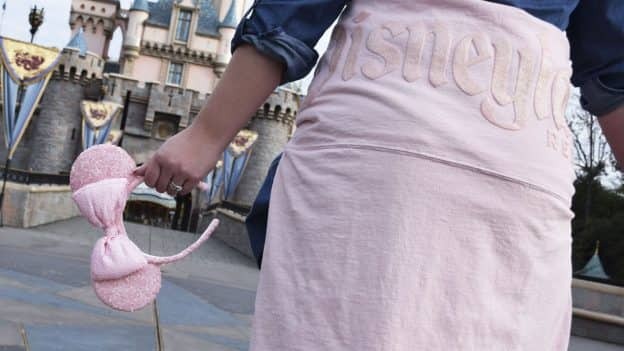 In mid-April, the headband will be joined by another beloved apparel item at Disney Parks, a new millennial pink Spirit Jersey. “We know Guests enjoy creating fashionable looks using products designed to complement each other. We closely aligned the launch of [Spirit Jerseys] with the headband so Guests could make fun outfits for spring,” said women’s apparel merchandiser Angelique Vu. These 100% cotton, pullover tops have theme park logos printed on the front. Pink glitter puff ink lettering of the respective Disney Resort destination is emblazoned across the back of these long sleeve shirts. 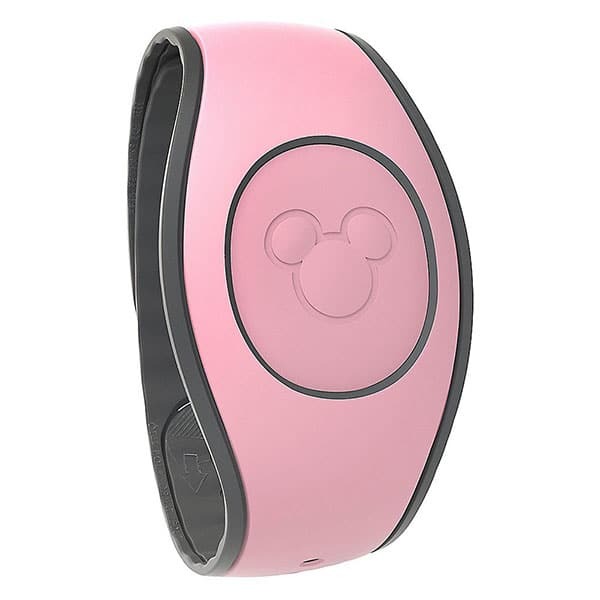 Guests visiting Walt Disney World Resort have one additional millennial pink accessory to complete any outfit—a retail MagicBand 2 currently available in select merchandise locations. With the innovation of MagicBand 2, guests can use this MagicBand and others to unlock the magic of a Disney vacation—from skipping the front desk and going directly to your resort room, effortless theme-park entry, to FastPass+ redemption and Disney PhotoPass association. While the retail MagicBand is currently available online, look for the millennial pink headband and Spirit Jerseys to be added to ShopDisney.com and Shop Disney Parks at a future date this spring. 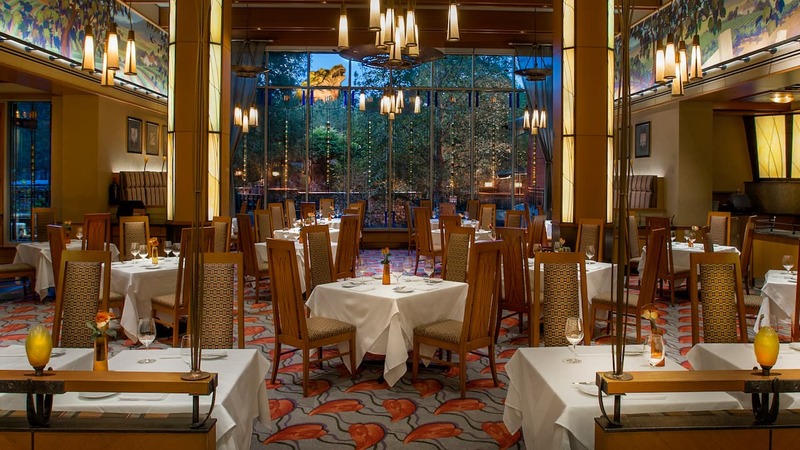 Will the millennial pink champagne be offered at Disneyland in CA? ….or is it exclusively for Disneyworld only? When will the millennial pink spirit jerseys be available on shop Disney? When will the millennium pink ears be available again? At the world of Disney store in down town disney ca ? 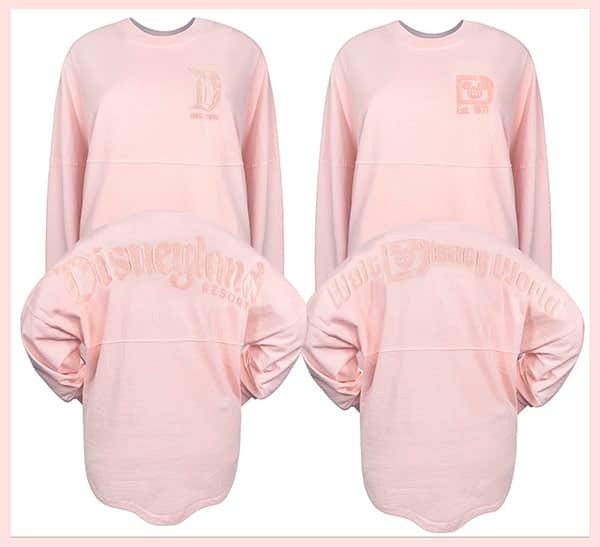 When will the millennial pink spirit jersey be available for purchase online (shopdisney & shop Disney parks online)? Will the jerseys ever be available to purchase on the shop Disney app? I am trying to find the page listing the upcoming merchandise events at WDW. It used to be collections by Disney but that only forwards me to the shop Disney website. I know there were several events that I wanted to attend this spring but cant work them into my calendar without their details. Any help you can give this Disney collector would be greatl appreciated. Does this mean rose gold ears and spirit jearsies will no longer be restocked???? Will these ears be in the world of Disney store May 14th? I am hoping against all hopes that they will have plus sizes in the Spirit Jerseys. I love the style and now that they are coming out in my favorite color I would love to have one. Will the ears be available in Disney World on Sunday or just Disneyland? @Lisa – The headbands will be released at World of Disney at Downtown Disney District in California on Sunday. The headbands will be available in additional location at Disneyland and Walt Disney World Resorts at a later date in April. We were at WDW the week of 3/11 & the Rose Gold Ears had been restocked the week before so my daughter was able to get her pair! Very pretty and sparkly. I anxiously waited until the millennial pink magicband became available and purchased 2 in time for our Spring Break Visit. It really is a lovely soft pink. Now we may have to buy ears and Spirit shirt to match! never mind, in store purchase only I’m sorry you can delete my message to Melissa…sorry! @Melissa, get on the DISNEY APP NOW! They have them in stock! Oh dear, I’m travelling with three pairs of Minnie headbands and now need to add the rose gold, the crochet and these millennial pink to the list of must purchase! There will be no living with me! Love the spirit jerseys! I’m hoping to see some with short sleeves soon. 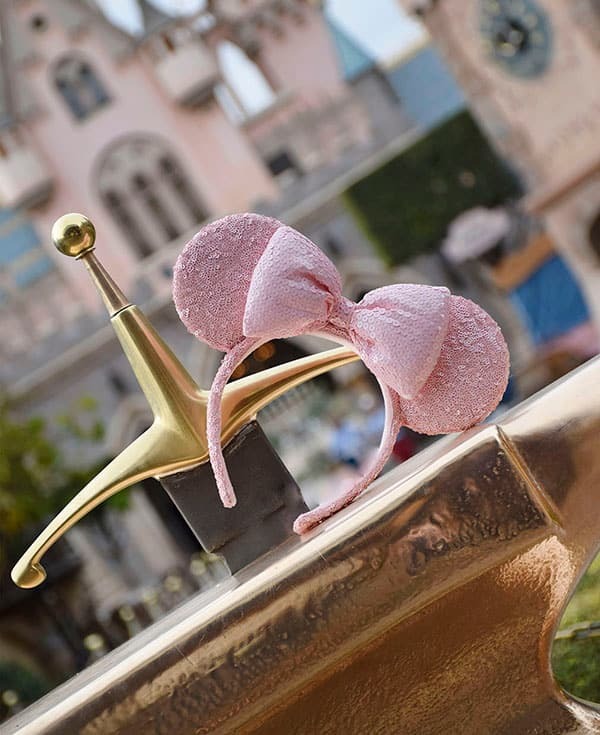 Is there anyway to purchase the rose gold ears from home? We hunted for them in January and they were sold out. I have been given different answers. Can we purchase from home?? Awesome news! I will be at Storytellers on Sunday. My question Steven is will there be a large amount of stock on Sunday? Thank you in advance!! @Liz – I don’t have access to specific quantity numbers, but I know the headband will be released at World of Disney in Downtown Disney District this Sunday.